Hello everyone. I am sorry about the slight delay in announcing the winner of the giveaway. I had quite a few entries to go through and also I've just a crazy schedule right now. I'll tell you about the part time job that I have taken up in some other post. 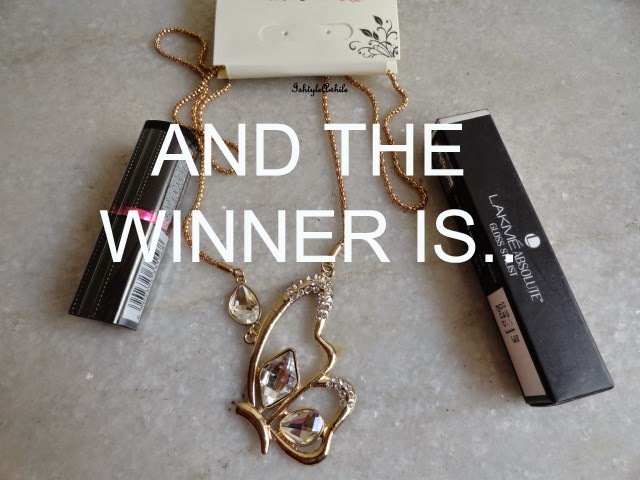 The winner for the the first giveaway is..
Kindly send an email to krupa@ishtyleawhile with your name,address, contact number and please mention that you are the winner of giveaway #1. I will send you the prize as soon as I can. Moving onto the winner for the game I Spy. Ladies, I am so happy that so many of you enjoyed playing. I never expected so many entries. I am definitely having more editions of this game and well if all of you enjoy it, maybe we can make it a permanent feature? I would like to mention that the reason none of you would see your comments before was because I didn't want any one to have a chance to cheat and enter. I would like you to know that all your comments went into moderation and I could see everyone's answer. Now I have approved all the comments and they are visible. 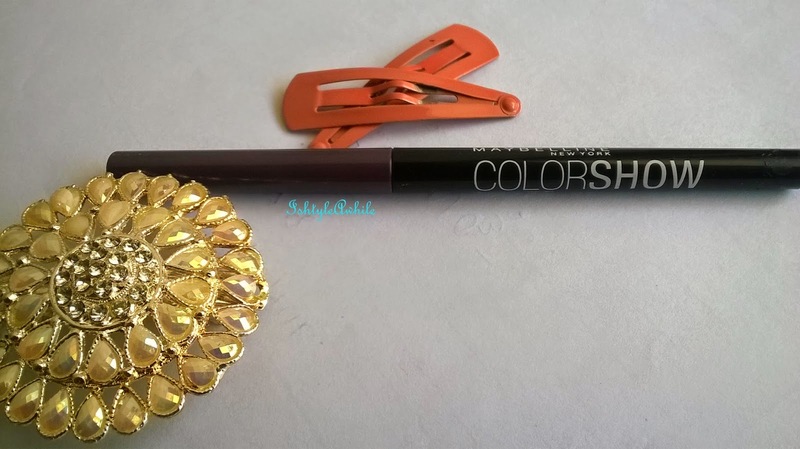 The right answer was MAYBELLINE COLORSHOW CRAYON KOHL IN NOBLE PURPLE. If you are wondering how, well here is the answer. It is an eye liner. In my review I had mentioned how hard the shimmer was to remove even with remover. Kindly send an email to krupa@ishtyleawhile with your name,address, contact number and please mention that you are the winner of I Spy. I will send you the surprise gift as soon as I can. I just wanted to mention how I chose the winners for both I Spy and the giveaway. Everyone who had a valid entry was given a number and the winning number was generated through random.org. If you didn't win, I have another giveaway coming up in just a few days. Keep track of me on Social Media because it is going to be one of those giveaways. I am working on the post currently, and of course there is another I Spy which will be up really soon. The celebrations on my blog will be continuing till mid December, so stay tuned. 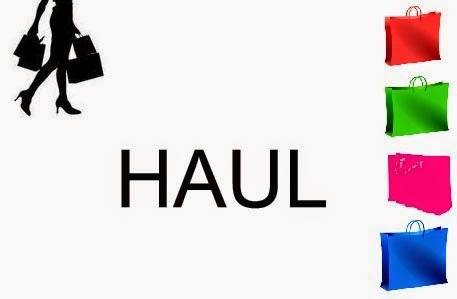 Lots of goodies to be won! !